Freshman guard Jarrod West, junior guard C.J. Burks and junior forward Ajdin Penava stand at mid-court as Jon Elmore takes free-throws after a WVU technical foul. 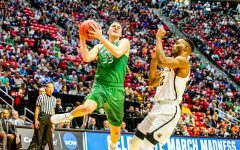 SAN DIEGO—After a season in which it defied preseason odds by winning the Conference USA Championship and its first-ever NCAA Tournament game, the Marshall Thundering Herd men’s basketball team fell to the West Virginia Mountaineers, 94-71, Sunday night at Viejas Arena. 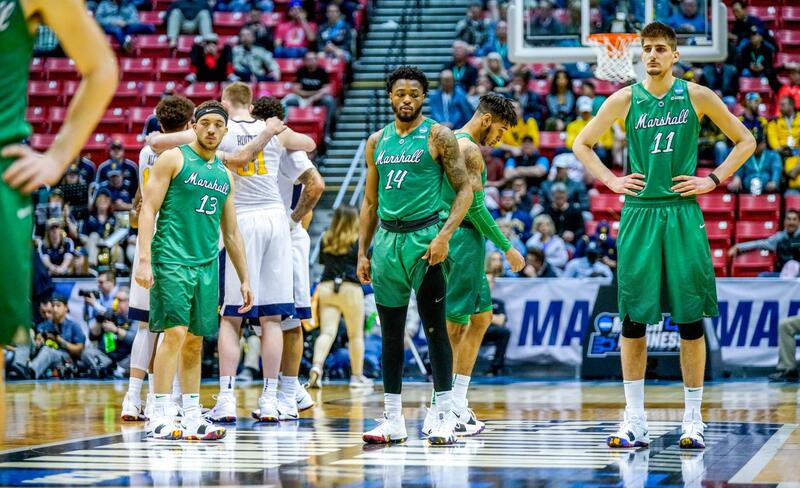 With the loss, Marshall finishes the season with an overall record of 25-11 and is eliminated from the NCAA Tournament. WVU improves to 26-10 and advances to the Sweet 16, in which it will travel to Boston, Massachusetts to take on Villanova. 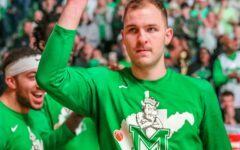 In the first men’s basketball matchup between the two teams since 2015, WVU played its trademark full-court press, forcing the Herd into 18 turnovers, which translated into 26 Mountaineer points. The Mountaineers’ leading scorer was senior guard Jevon Carter, who had a game-high 28 points, as he was 10-for-18 from the field, 5-for-7 from three and 3-for-3 from the line. Poor shot selection plagued the Herd, as well. 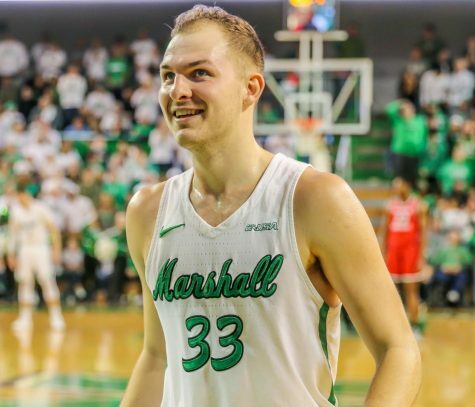 Marshall shot 22-for-56 (39.3 percent) from the field, 12-for-26 (46.2 percent) from three-point range and 15-for-21 (71.4 percent) from the line. Comparatively, the Mountaineers shot a combined 33-for-66 from the field, 12-for-25 from beyond the arc and 16-for-18 from the line. 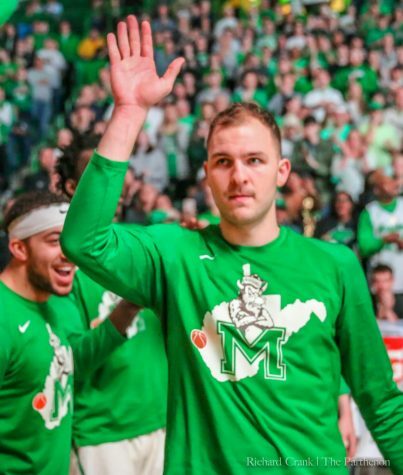 After Marshall used the three-pointer to take an early 16-8 lead, WVU stormed back, as its sophomore forward Lamont West hit a three to put the Mountaineers up 21-20 with 10:16 remaining in the first half. From there, WVU wouldn’t relinquish the lead for the rest of the game. 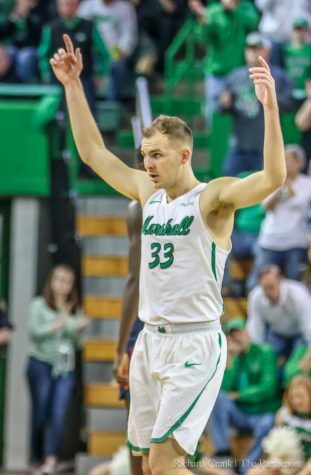 Marshall scored 25 points in the first half, its second-lowest first half point total of the season (26 against ODU) and its lowest point total since the first round of 2015 C-USA Tournament against Western Kentucky. In the half, Marshall shot a combined 8-for-26 from the field and 4-for-10 from three. WVU took a 42-25 lead into halftime. Junior forward Ajdin Penava led the Herd offensively. 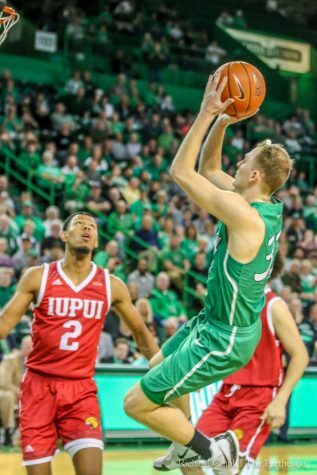 Penava scored 18 points, shooting 7-for-9 from the field, 2-for-2 from three and 2-for-3 from the line. 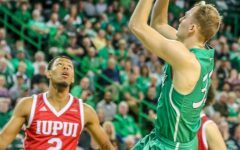 Penava added six rebounds and six assists to his stat line. 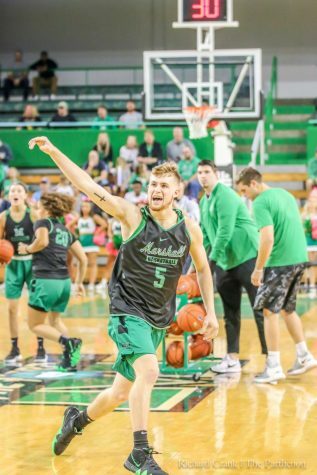 Junior guard Jon Elmore scored the second-highest point total for the Herd with 15. WVU contained Elmore’s shooting effort, as he went 4-for-12 from the field and 3-for-nine from three. Elmore tallied four assists and four steals, as well, in his 37 minutes of play. Junior guard C.J. 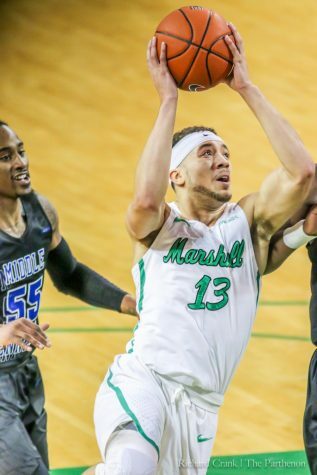 Burks was Marshall’s only other player to reach double-digit scoring. Burks was contained to 12 points, as he shot 3-for-15 from the field, 2-for-6 from three and 4-for-4 from the line. The last time Burks eclipsed 20 points of total scoring was in the first round of the C-USA Tournament, where he dropped 29 against UTSA. Penava, Elmore and Burks combined for 45 of Marshall’s 71 total points. 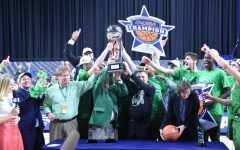 The Thundering Herd was ranked seventh in the C-USA preseason poll. 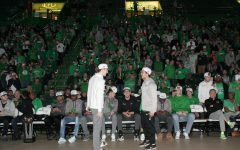 Despite that, Marshall went on to win its first-ever C-USA championship and forced the Mountaineers into a faceoff with its first round defeat of Wichita State. 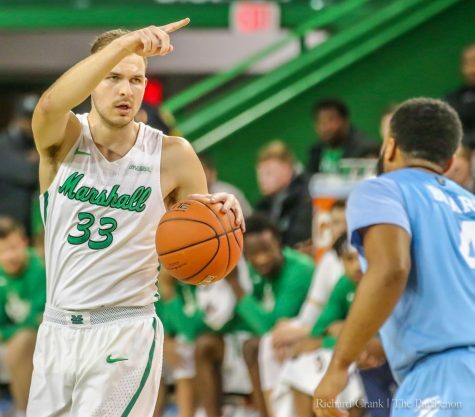 As Marshall travels home to Huntington, it expects to return nine of its top players in its attempt to return to the NCAA Tournament for the second-straight season in 2019.